Kick back and relax in our Leather Pillow-Tufted Reclining Chair! 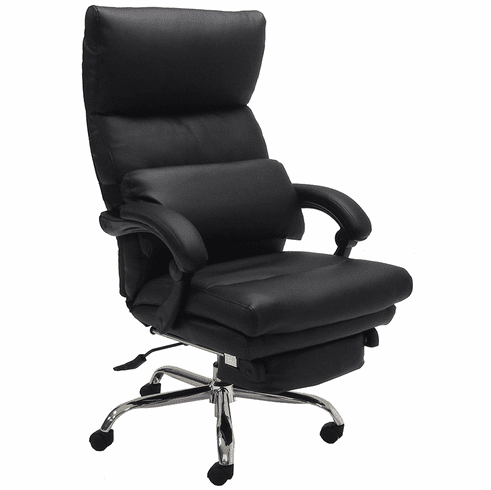 A unique hybrid of a leather office chair and a reclining chair, this chair easily converts from a desk chair to a comfortable napping chair. IN STOCK!! Upholstered in your choice of black or brown bonded leather. Pillow-tufted seat and backrest cushions are an impressive 6" thick and feature perforated leather on the sides. Leather lumbar support pillow provides additional back support, but can also be easily adjusted or removed if preferred. Cushioned armrests are gently angled to cradle to forearms. Recline the backrest by a touch of a paddle. Slide out footrest sets up in seconds and tucks neatly away under the seat when not in use. Chair is uniquely designed to safely allow user to fully recline into a nap position. Center of gravity is slightly to the rear from a typical office chair and also a broader base is used to prevent the risk of tipping. Due to this, this chair does not tilt for safety. Other features include swivel and pneumatic height adjustment. Seat height is 18-1/2" to 20-1/2"H. If a longer/taller height range is preferred we have an optional higher range gas cylinder sold separately below. 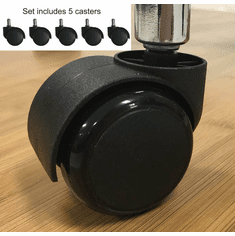 Includes dual wheel carpet casters. 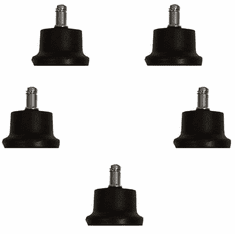 See optional Soft Casters for Hard Floors and Fixed Height Chair Glides below. Note: This is not a medical or convalescent chair. It is designed for use in an office, business, or home office. Measures 26-1/2"W x 30"D x 46-3/4"-48-3/4"H overall. Seat is 21"W x 19"D x 18-1/2" � 20-1/2"H. Backrest is 22"W x 27-1/2"H. Footrest is 14"W x 8-1/2"D and far edge of footrest extends 17" from front edge of seat. 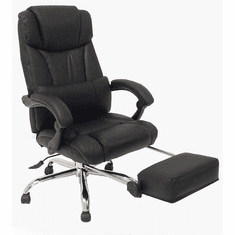 Chair measures 67" long from top of headrest to edge of footrest when in its most reclined position. Ships unassembled. Shipping weight 69 lbs. Weight capacity 240 lbs. 5-Year Limited Warranty. PRICE INCLUDES SHIPPING!